But he who is spiritual judges all things, yet he himself is rightly judged by no one. For who has known the mind of the LORD that he may instruct Him? But we have the mind of Christ. Let this mind be in you that was in Christ Jesus. 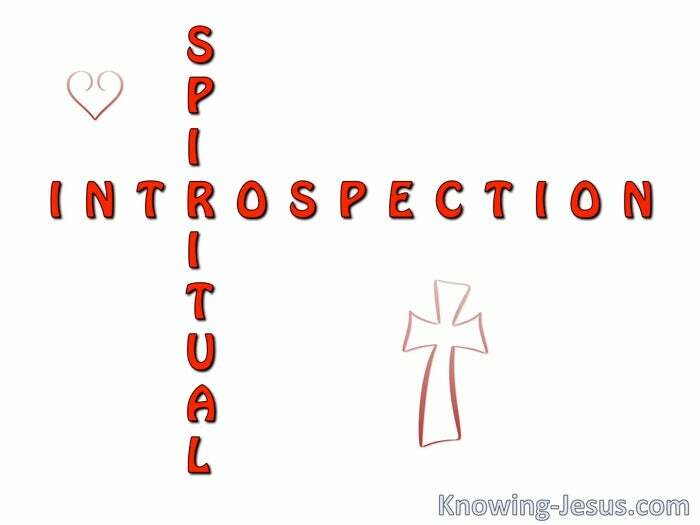 Is there any more important lesson for the Christian to learn than to be spiritual? Oh I don’t mean being a ‘goody goodly’ who think himself righteous and pure. Nor do I mean her who thinks herself so godly that they’re off the “angelicometer”. I mean one that has gone through the mill-of-life, for a purpose. One who’s identified his fleshly propensity, fleshly failures and fleshly weaknesses. I mean one that has recognised their carnal walk and made inner adjustments.. one that has set their face like a flint to God and cries: search me, O God. Search me O God, identify and root out all my sin of self pride. Show me all self-independence and carnality. For the carnal Christian says: my will be done. Spiritual believers say: Thy will be done not mine.. whatever the cost. But how does one start this journey of a lifetime? How does one recognise their inner prideful carnal self? Well Scripture tells us: but he who is spiritual judges all things, yet he himself is rightly judged by no one. Does this mean that man goes around being critical of others – never. Does this mean he goes accusing God for all the negative things – never, but neither does it mean that they spend their time criticising themselves. Many believers don’t understand and spend their life accusing and berating others. Many believers misunderstand and spend their life lashing out at themselves: God cant love me ‘cuz of my misspent youth. He could never love me, they bewail. Some even start to lash out at God, when things do not make sense. 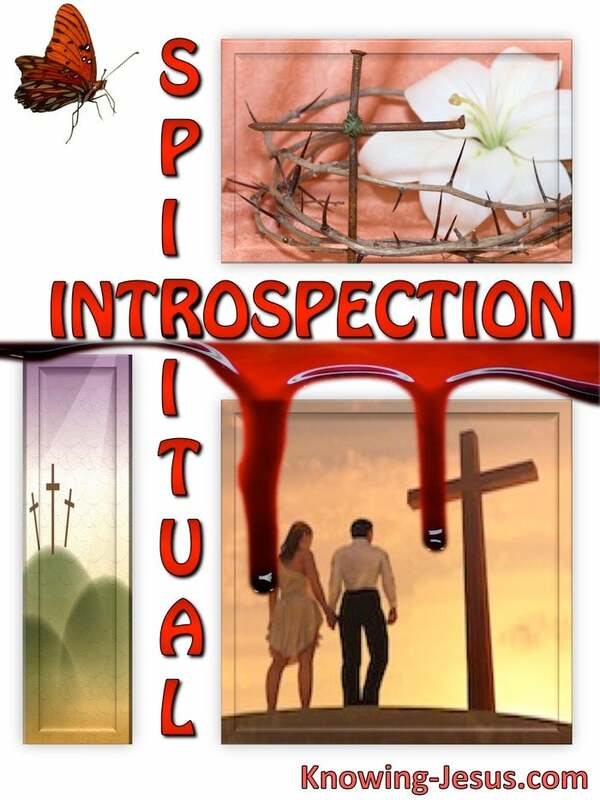 Many lash themselves for past sins and present inclinations. Some continue to blame things on past sins and failures, but your sins have been forgiven forever. They have been forever forgiven, and God sees you as perfect and loves you with a perfect, pure and holy love. God’s love for you is deep – as deep as His love for Jesus, the Son of His Love. He yearns for you day and night. He longs for you every moment of your life. And your spirit is as perfect and pure and clean as the God-Man Himself. Your new man – your reborn soul, is still in infancy and must grow and mature, but the old man.. your old sin nature will resist all attempts to die-to-self. So what does it mean: he who is spiritual judges all things? Well scripture tell us and the passage is in context. The context is putting off carnal man and putting on spiritual man, and the result is that the mind of Christ is being developed in you. This is not a one-off resolution but it must start with a decision of the will. This is a self-examination when the believer examines his life and his practice. This is deep introspection, where words, deeds and motives are scrutinised. This is an honest look at yourself, with the Holy Spirit as you personal Trainer. This is a most painful process in the life of any believer – but the most rewarding. May the words of my mouth be always acceptable to You, oh God my Redeemer, and may the meditation of my heart be always acceptable to You – My Lord and King. I challenge you as I challenge myself to prayerfully read Mark 7:20-23, and adhere to the Lord’s earlier words: if any man have ears to hear, let him hear. This same directive is again addressed to the 7 churches by the Lord Himself. In the context of becoming an overcomer..becoming a spiritual man… He that hath an ear, let him hear what the Spirit says unto the churches. If there were ever a time for the believer to seek to be a spiritual man – it is now. Now is the accepted day – now is the day of salvation of the ‘soul’ The Lord is coming – at His appointed time and He won’t be late.